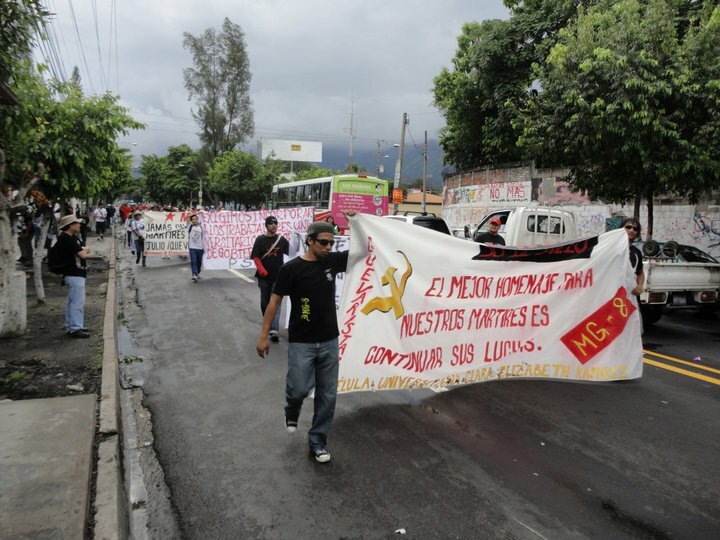 More than 2000 march July 30 in El Salvador to commemorate 1975 student massacre | Fight Back! 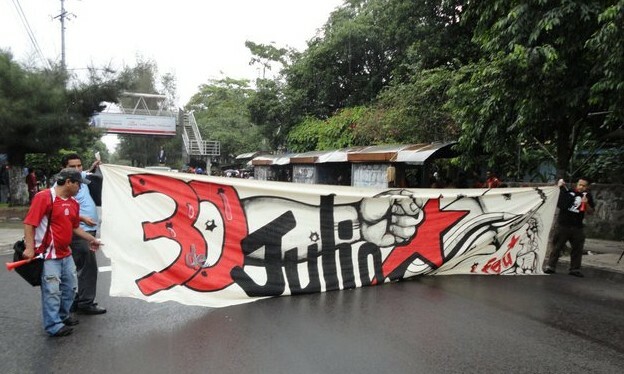 San Salvador, El Salvador - On July 30 more than 2000 people marched here to commemorate the 36th anniversary of a massacre of Salvadoran students on July 30, 1975. The march started at the University of El Salvador (UES) and marched to the bridge where in 1975 the security forces and military violently repressed a peaceful protest where students were marching to demand their rights and to defend the UES. At that time the UES suffered from constant repression from the military and police. The July 30, 1975 massacre of students caused huge reverberations around the country. The 1975 student protest was in response to the military taking over the UES campus on July 25, 1975. 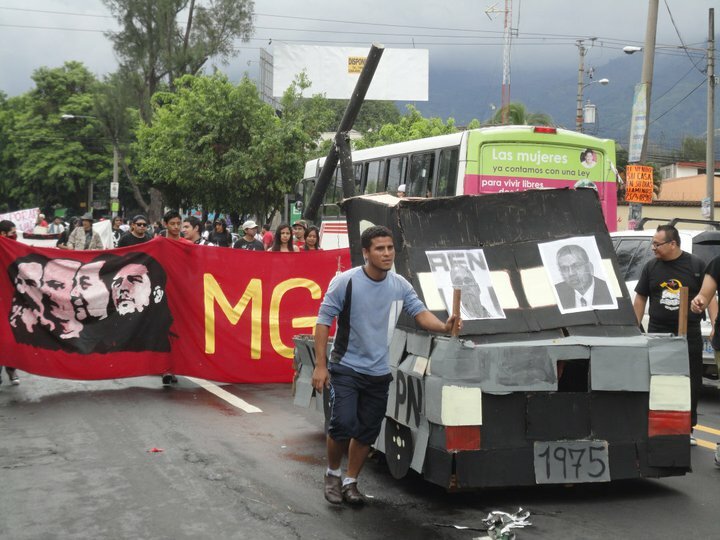 The students demanded that the military stay out of the only public state university in El Salvador, founded in 1841, which is also one of the strongest bases of the popular movement in the country. The commemoration march this year was filled with the banners and colors of many student organizations, popular organizations and unions that accompanied the march with the main university student chant: “This is the U!” The organizations carried banners and signs demanding justice for all that died and vowing to continue their struggle. 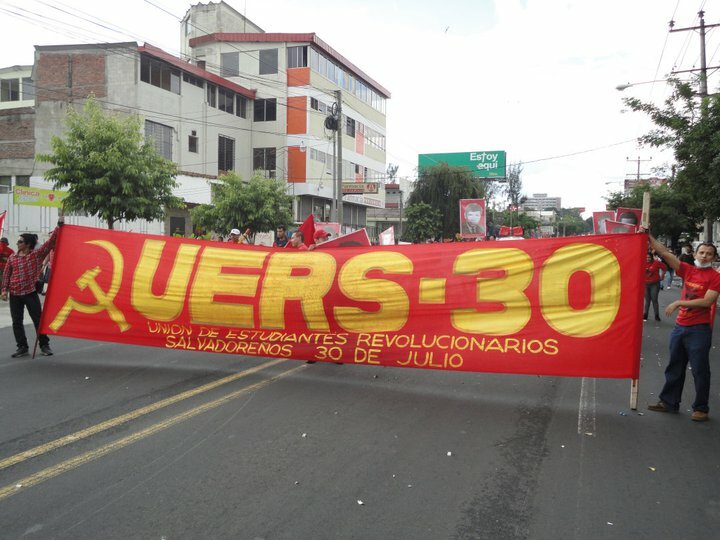 The march was notable for the strong presence of revolutionary and communist student organizations, such as the Guevarist Movement - October 8, The Salvadoran Revolutionary Student Brigade (BRES), Roque Dalton University Front (FURD), Revolutionary Salvadoran University Students - July 30 (UERS-30), Union of Revolutionary Marxist Youth (UJRM), Revolutionary Student Brigade - Anastasio Aquino (BREA), FES-Jorge Arias Gómez, FREUS, MOTUES, PSOCA, BASES, among others. 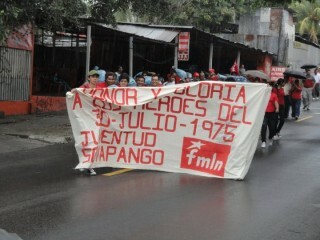 The FMLN Youth also had a large presence. When the commemorative march arrived at the bridge where the student massacre happened in 1975, students recreated a simulation of the bloody massacre. In the evening, the University of El Salvador soccer team, which plays in the First Division, played on campus. The players on UES’s team took the field carrying a banner commemorating the 1975 student massacre. This brought strong applause from the UES Furia Escarlata fan section and all those present. The day ended with a vigil celebrated in the Polideportive Center in the University of El Salvador, which is also named after the heroes and martyrs of July 30, 1975. At the vigil various leftist popular musicians played such as Los Torogoces de Morazán, Los Norteñitos and others.